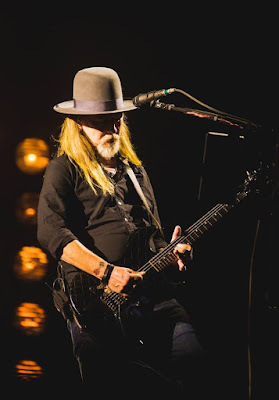 Alice In Chains performed the live debut of their new single, “The One You Know”, during a headlining May 4 set at the Carolina Rebellion in Concord, NC, and video from the event is streaming online. The Seattle outfit delivered a 13-song set at the Rock City Campgrounds at the Charlotte Motor Speedway as part of their spring tour of North America while topping the weekend’s opening night ahead of Shinedown, Stone Temple Pilots and others. The 2018 edition of the festival also saw headlining appearances by Godsmack and Muse. "The One You Know" is the lead single from Alice In Chains’ forthcoming sixth studio release; the band recorded their first album in five years with producer Nick Raskulinecz over the past year at four separate locations, including Nashville, Los Angeles and two in Seattle. “It’s a record we haven’t done yet, I can tell you that,” guitarist Jerry Cantrell tells Guitar World. “But it’s also a record that has all the elements of anything you would expect from us. It’s got our fingerprint. And we’re really proud of the material that we wrote and the performances we captured. Alice In Chains will wrap up their spring dates at the MMRBQ in Camden, NJ on May 19 before kicking off a two-month European tour in Leeds, UK on June 16.